Following are the presentations made by the research teams in the mid-term review workshop of CITIGEN in April 2011. 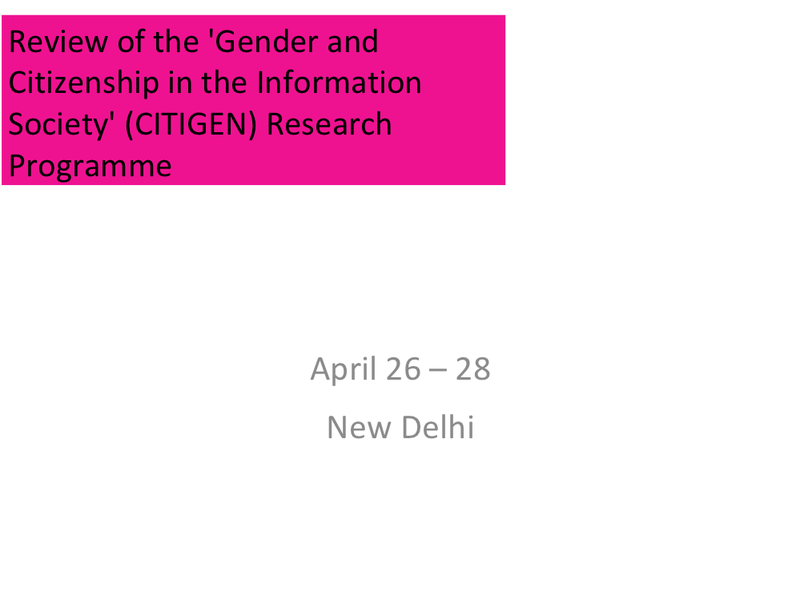 Each team shared the emerging threads observed with regard to the connections between gender, ICTs and women's citizenship, as well as how these insights related to their hypotheses and theories-in-the-making. The Bangladeshi project explores new media's contribution in creating discourses on women's rights as citizens and possibilities for marginalised women to renegotiate these rights using technology inputs. 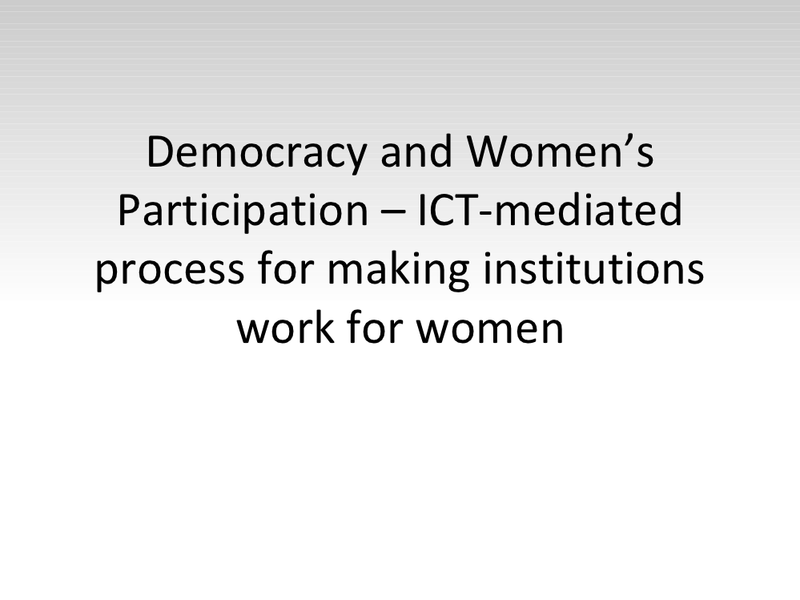 The presentation covers a reporting of the nature of democracy in Bangladesh and women's participation therein. It thereafter reflects on the ICTs initiatives and practices and the possibilities they offer to democratise decision making through greater participation. 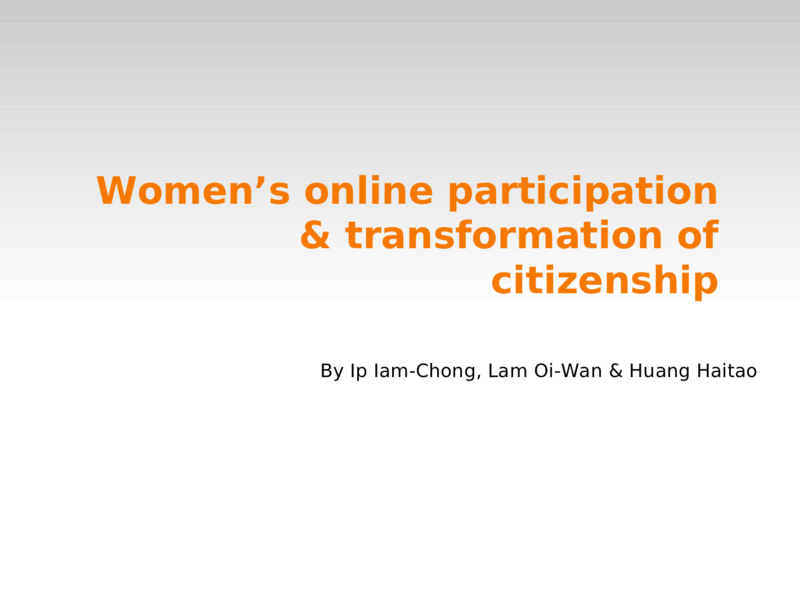 The Chinese project compares the ways in which women from different social positions use ICTs in order to define and negotiate their citizenship rights. It focuses on Hong Kong and Guangdong (mainland China), where two distinctive political systems are in place. 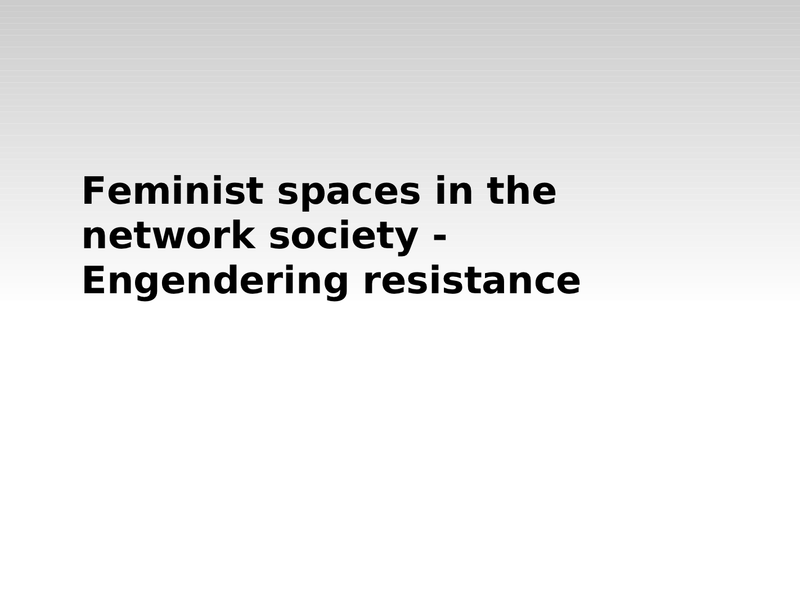 The presentation attempts to explore the feminist spaces in the network society and how resistance is being engendered. 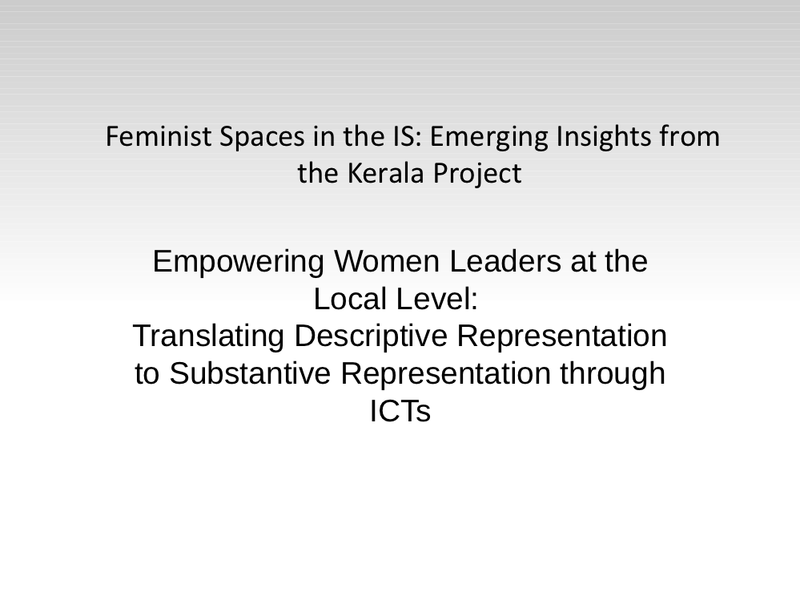 The Indian team is working on the empowerment of women elected representatives at the local level, exploring the role of ICTs in effecting their substantive representation in local institutions in the state of Kerala (India). The presentation explains the platform developed by the team, its functionalities and features. The platform attempts to create an active network of women for information sharing. 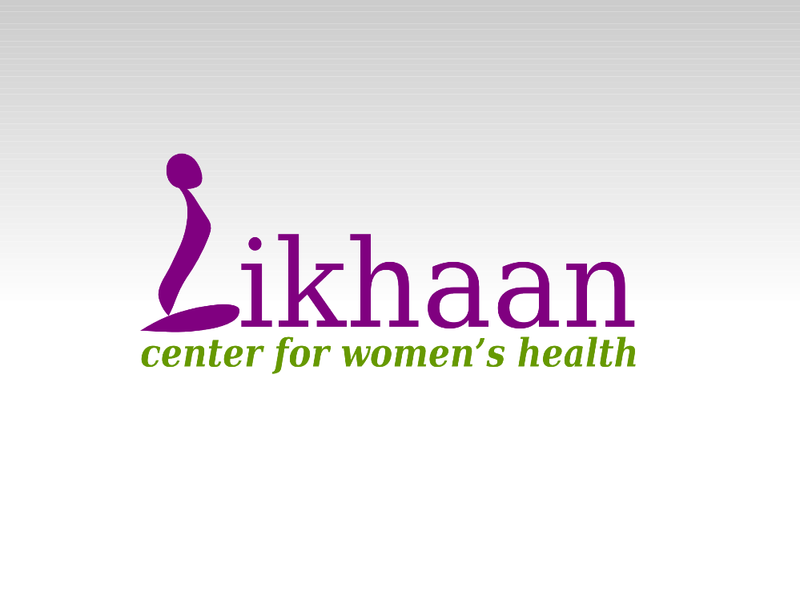 The Filipino project aims at bringing gender and reproductive health issues from the local to the national and institutional level, through a citizen journalism action research project. The presentation talks about the need for a space for the community voices to be freely expressed. It also highlights the challenges faced by these citizen journalists. 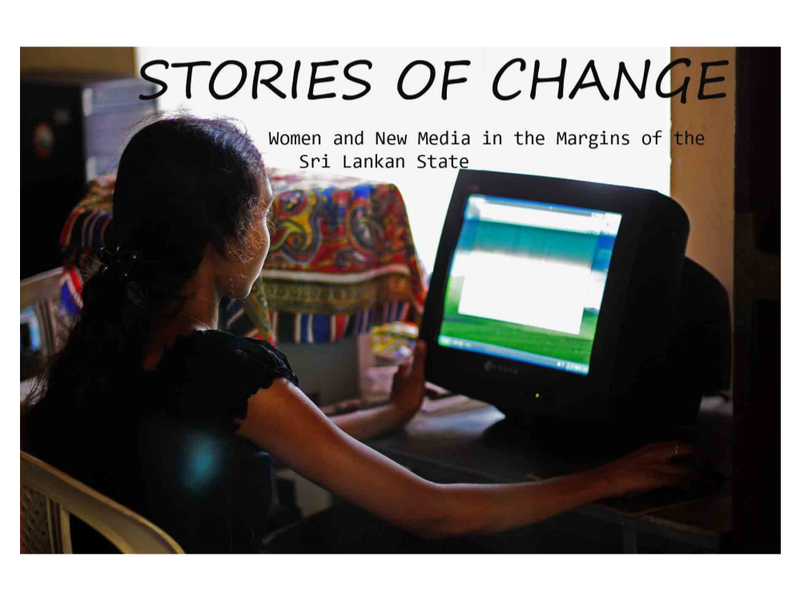 The aim of the research is to study how new media transform citizenship practices of women who are currently in the margins of the political and civic life in Sri Lanka. 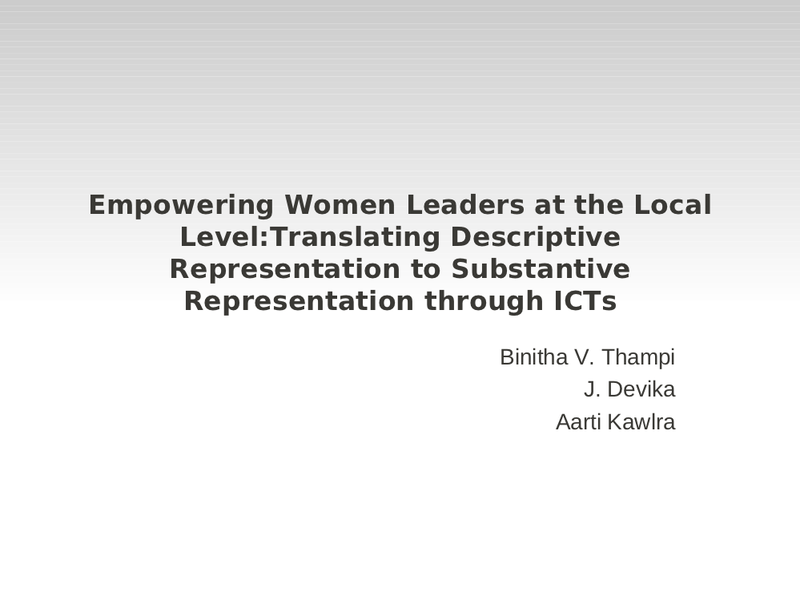 The presentation explores the potential of new media to provide a transformative platform for women to contribute to discourses on formal citizenship at the local and national levels. Through case studies, the presentation outlines the progress made by the women and the challenges encountered by them along the way. 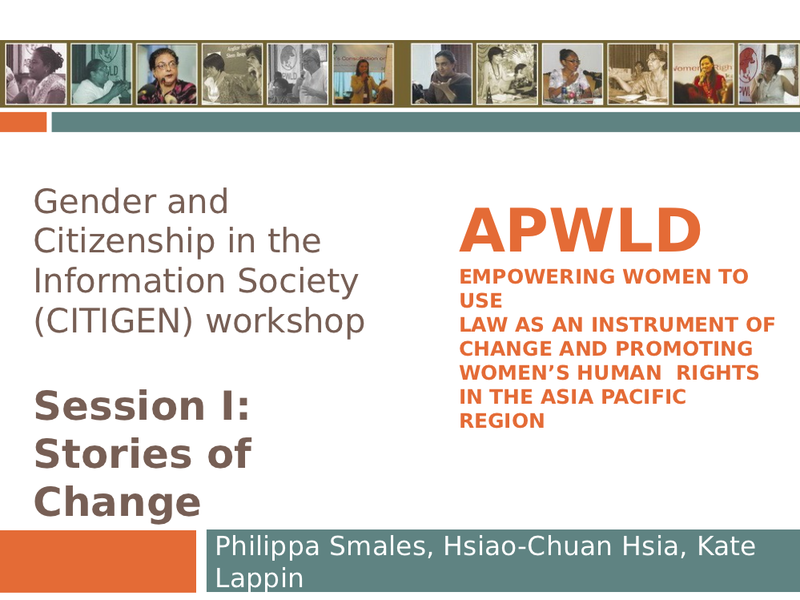 The project looks at women migrant domestic workers from Philippines and Indonesia working in Hong Kong and Taiwan. The presentation outlines the connections between the migrant workers and cellphone usage, while addressing the ways phones can be effectively used as a communication tool. Apart from the partners, invited scholars also made presentations addressing the issues at stake with respect to the larger picture. 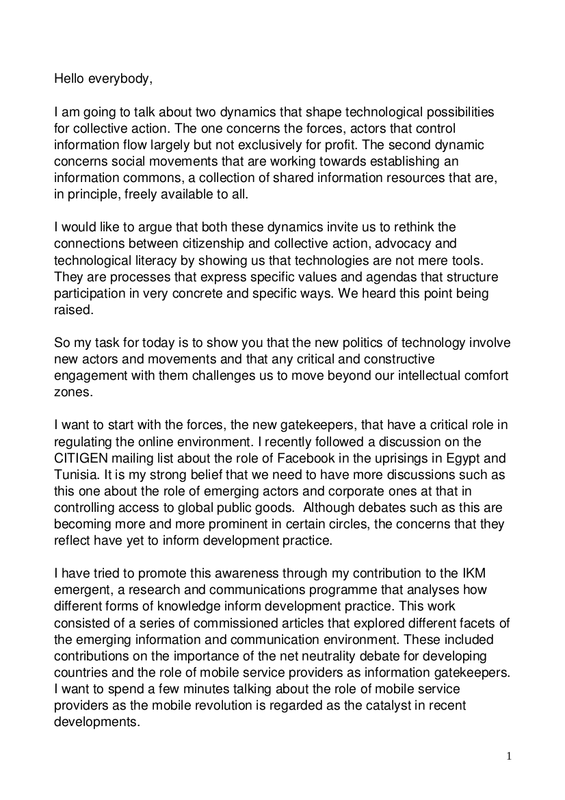 Evangelia Berdou (Research Fellow, University of Sussex, UK) made a presentation outlining the dynamics that shape technological possibilities for collective action. Through her presentation, she argued that technologies are not mere tools but are processes that express specific values and agendas that structure participation in very concrete and specific ways. Heike Jensen (Think piece author, CITIGEN, and independent gender researcher and consultant, Germany) studied the question of who censors women. Through a pyramid representation, she brought out censorship effected by state or non-state actors through law, violence, market, administration, social norms and architectures. She also addressed the rising concerns of privacy in the digital world.